Okay! 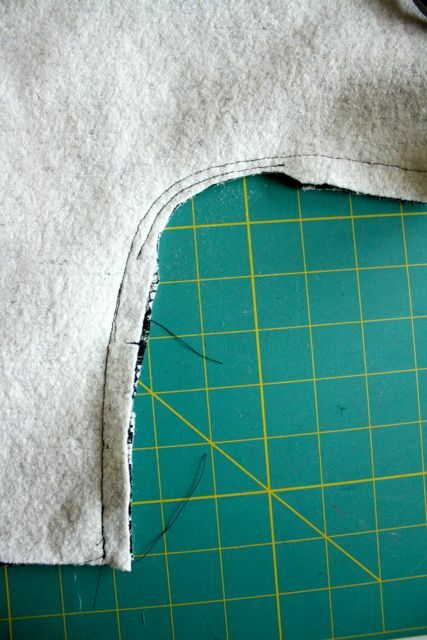 At this point, you'll have the center back seam stitched and the darts sewn in your bodice back. Next, stay stitch the back neckline. Do you guys know about directional stay stitching? This means that you always stitch toward the center to avoid stretching out the bias portions of the neckline. 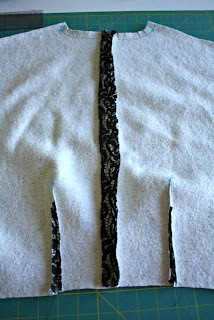 Sew from one side in, flip the piece over, and then do the other side. The stitching should overlap by about 3/4" at center back. Once you have the stay stitching in, clip to the stitching, about every 1/2". This will help immensely in the next steps. Now for the video component! This will show you steps 7 and 8. 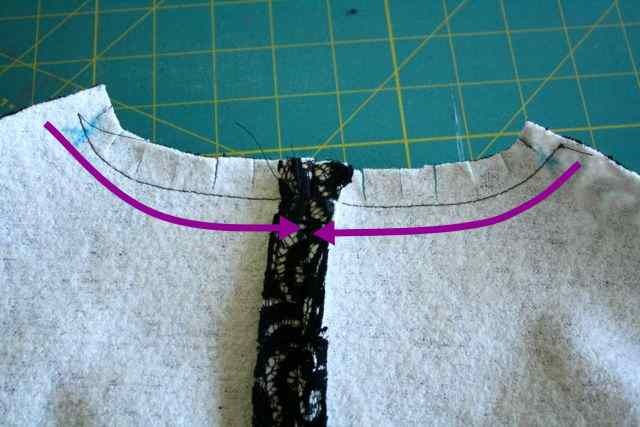 After you complete this part, you'll press your neckline seam up. Press the overarm sleeve seam open. Finally, stitch your underarm sleeve from wrist to waist. Reinforce the underarm area by stitching again 1/8" away from your seamline, in the seam allowance. Trim close to this second line of stitching, to give more room for movement. Please let me know if you have any questions! Next up: the skirt and pockets! Wow, I love watching you sew! Reminds me to watch sewing videos every once in a while...I'm essentially teaching myself so sometimes I feel like I'm doing it wrong. One day I might even participate in a sew-along! Thanks! It's from a place called Banksville Fabrics in CT. I would give them a call; they are very nice and do mail order all the time. This was such a great sew a long. 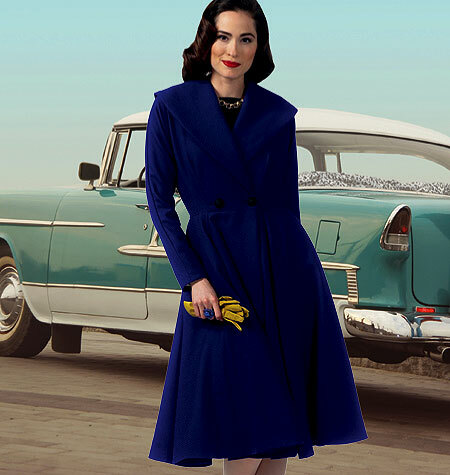 I might even be brave enough to attempt my first coat now. Thanks! I was so excited to see you're sewing a coat! I've been meaning to attempt one for ages but didn't really know where to begin--this will prompt me to get to it. Thank you!! That video was PERFECT! Answered all of my questions. Thanks!